NOTE: Direct MBTiles import is only available for Gaia GPS on Android. iOS users can import MBTile maps via a TMS URL. Premium Members can import .mbtiles files into Gaia GPS, which lets you use a wide variety of maps/data in Gaia GPS. First, you can use Mapbox Studio to create an .mbtiles file, based on data from various filetypes: .geojson, .gpx, .csv, .kml, and .tif. Then, you can import .mbtiles into Gaia GPS directly. Note that Gaia GPS can import GPX files and simple KML files directly (even without GaiaPro), but Mapbox Studio will also let you bring in more data and geo-referenced images types, such as .geojson, .tif, .csv, .kml, and more. Click "settings" and "export to mbtiles"
Once the file is done exporting, you can import directly into Gaia GPS via Dropbox. 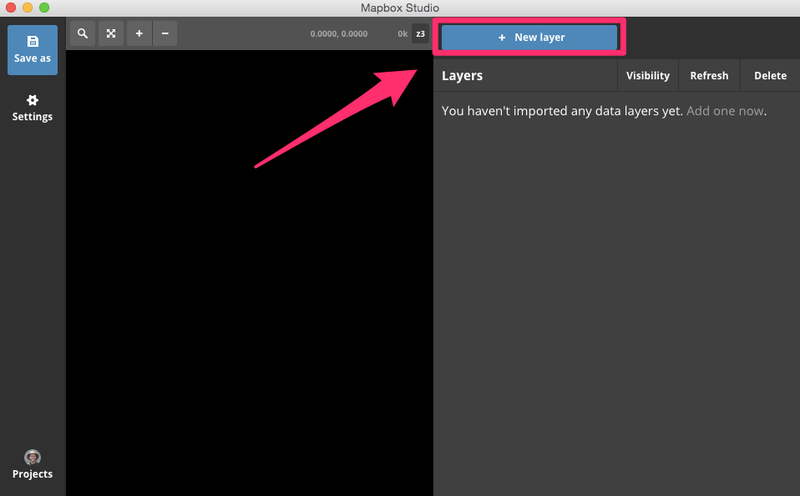 If you cannot see the image upon import to Mapbox Studio, or if it doesn't show up after uploading to Mapbox.com, contact Mapbox Studio customer support. If I produce the MBTiles with a program other than MapBox Studio (MapC2MapC64), how do I locate them while in gaiagps.com so they can be imported? Do I establish a map source on my hard drive? Sorry - ignore the previous comment for now. I misread & thought I had to do the import from Mapbox. I'll experiment and come back if I can't figure it out. How do you import an mbtiles file into iOS and does that sync with web GaiaGPS? How do you import an mbtilesfile into web GaiaGPS? I can't find an option to do that.